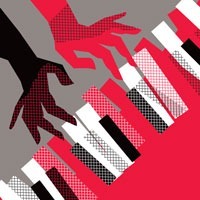 Announcing 3’s First Dueling Piano Night, featuring the Ivory Rockers. This is not your typical piano act…unless you are used to pianos playing high energy request driven rock and roll that you have seen in dueling piano clubs across the country. The Ivory Rockers play up tempo rock and roll, pop, country, alternative songs from the 60’s straight through today based on your requests. Friday, February 15th, 2019 from 9pm – 12am. Tickets are $25pp, call 508.528.6333 to buy.